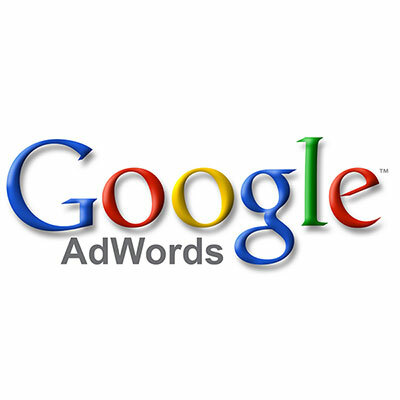 So, you've decided to take the plunge and advertise your business using Google AdWords. But before you dive headlong into setting up your account, here are a few helpful tips. For small start-ups, the general consensus is that you should start with a monthly budget of £50-£75, and see how you get on. Set up your account using either your credit/debit card or bank details. Once your campaigns start running, you pay every 30 days (the pre-pay option has now been withdrawn in the UK). Decide what you want to spend each month, and enter your daily maximum spend in 'Settings/Budget'. Google AdWords assume that there are 30.4 days in each month. If you want to spend £75 per month, set your daily budget at £2.47 (£2.47 x 30.4 = £75.08). If you're a beginner, you should run your campaign for at least three months initially. This way you can get a good idea of what your potential customers are searching for. That's not to say that your campaign should remain static – you need to amend things little by little, trying out and testing new ideas and keywords all the time. HOW IS ADWORDS SET UP? WHICH NETWORK SHOULD I USE FOR MY ADVERT? There are two types of Networks in Google AdWords, the Search Network and the Display Network. You can choose whether to advertise on Search, Display or both. Now here's the biggie. Which keywords should you pick? These are the words that users will type in when they're searching for a service that your business provides, for example “Web design Warwickshire”. There's no right or wrong answer, and no magic formula. It's a case of trying things out, and seeing what works and what doesn't over a period of months. 1. Have a brainstorming session for keywords. Write down as many as you can think of, starting with words from your own website. Put them into different sections to keep everything neat and tidy, e.g. keywords relating to "web design", keywords relating to "web development". 3. Once you've got a nice long list, decide which keywords to delete. Group the remaining words into clusters, keeping related keywords together. 4. Put yourself in your customers' shoes. For example, they might be searching for “How to find a good web designer” rather than “Digital agency”. 5. Start small, and don't be too general with your keywords. If you cast your net too wide, your daily budget will be blown by 9.15am! 6. Most advertisers have between 5-20 keywords per ad group. Google recommend 10-20. HOW DO GOOGLE DETERMINE WHICH POSITION YOUR AD APPEARS IN? Google AdWords provides a wealth of data within your AdWords account, in the 'Tools and Analysis' section. If you link to your Google Analytics account, and also use the free Conversion Tracking Tool, you'll gain an even greater insight into who is clicking onto your ads and what action they take once they land on your website. If you've got more than one ad running, switch on auto-tagging so you can see which ad led the viewer to your website. There's so much more that we could say about AdWords...there are many, many more options and add-ons to choose from. But this beginner's guide will hopefully help you to begin your online advertising journey.